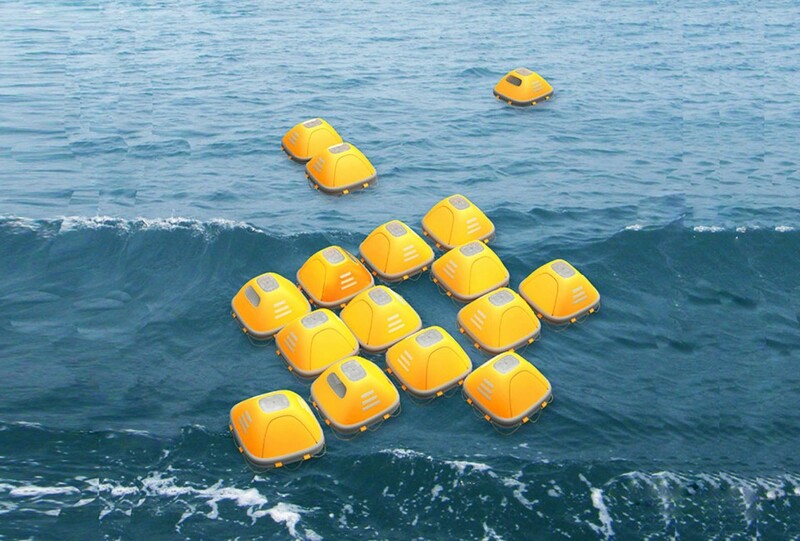 Providing secure enclosures and other critical safety features in the face of tsunamis, floods and accidents at sea, this system of survival pods adds another critical dimension as well: connectivity. 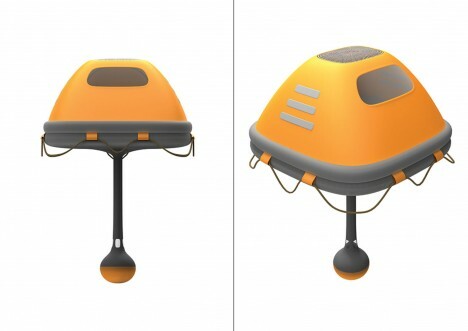 The award-winning Duckweed Survival House units come with variable-length tethers and are individually designed to stay upright and keep their occupants sheltered in the harshest conditions. Much like the series of independent-but-connectable space habitats proposed in Neal Stephenson’s Seveneves, each individual unit is self-supporting but also benefits by networking with the rest. The rounded-square shape helps allow the different units to be organized in grids, lines or otherwise without sharp corners that could damage adjacent units. 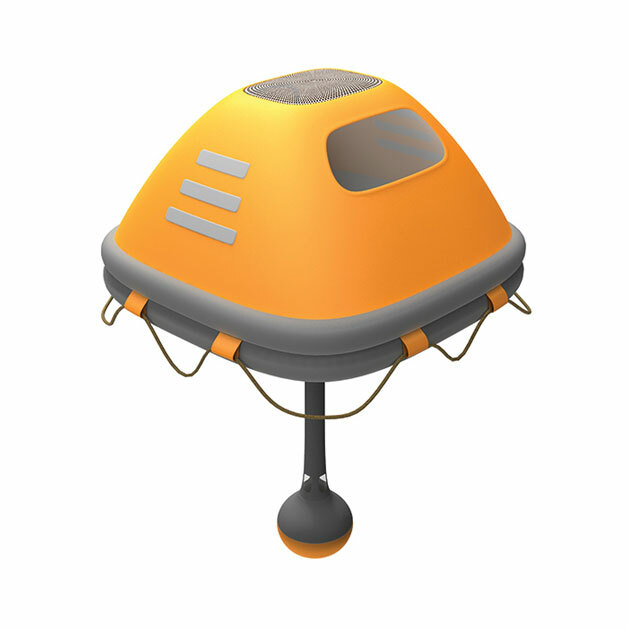 Together, they provide increased stability, visibility, wave and wind resistance, but the units can be separated as well to avoid obstacles or for situations-specific emergency needs, like jettisoning a defective pod. As in the aforementioned work of science fiction, the idea is to maximize the odds for all survivors by creating options for configuration and collaboration. A stem projecting beneath each unit stabilizes the crafts while a built-in, reverse osmosis filter turns salty water potable. Pressurized carbon dioxide gas provides quick inflatability while an operable overhead vent allows in fresh air. 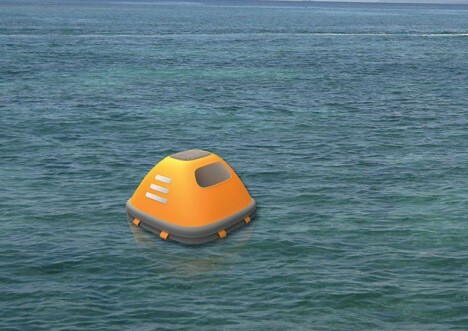 Bright markers aid in night rescue while also helping people in disparate pods spot one another more easily on the ocean waves.